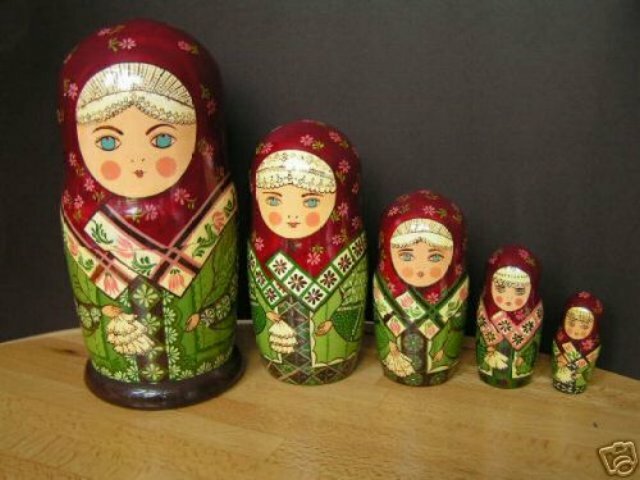 A lovely large set of nesting dolls from St. Petersburg dated 1995. These dolls have bright blue eyes and wear lacy veils under their folded red scarves and hold matching lace handkerchiefs. They wear green dresses with rich, elaborate patterns that are unique with each doll in the set. Set is in excellent condition and very nicely painted.